Drop into DMS Milton Keynes on Tuesday 7th March and be part of Ultrafloor’s skill booster day! the experts that make Ultrafloor the renowned brand it is. 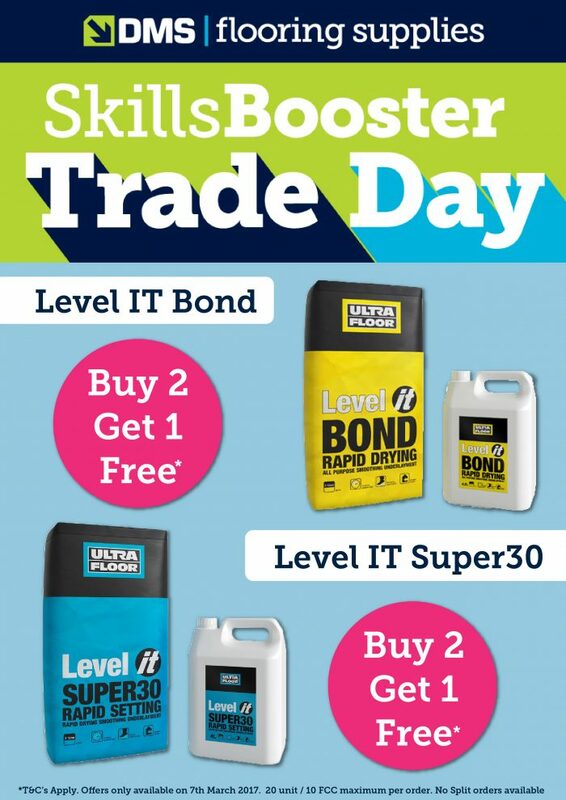 We also have a Buy 2 get 1 free offer on Ultrafloor’s Level IT Bond & Level IT Super30 so this isn’t one to be missed! We’d love to have you come in for a chat and a cuppa!